We offer lessons for a variety of instruments. Click on the names to learn more about our instructors below! Beth Becker has taught in the School District of La Crosse since 1988. She currently directs orchestras at North Woods and Roosevelt Elementary schools (grades 4 and 5) and at Logan Middle School (grades 7 and 8). She also plays Assistant Principal Viola in the La Crosse Symphony, teaches the River City Strings, and conducts the Wesley Methodist Youth Orchestra. During her college years, Beth studied viola with John Tartaglia (Minnesota Orchestra) and violin with Young Nam Kim, and in 1989 she graduated from the University of Minnesota, Minneapolis, with a B.S. degree in Music Education. Since moving to the La Crosse area, Beth has conducted the La Crosse Youth Symphony Philharmonic Orchestra, received her Master of Education - Professional Development Degree, and taught privately. Jim Knutson has taught at Onalaska High School, St. Mary’s University in Winona, and Cotter High School. He has directed week-long world music academies in Milwaukee, Appleton, Madison and La Crosse. Jim also plays with and has soloed with the La Crosse Symphony and directs the Bell choirs at English and First Lutheran and plays in the Praise Band at his church. 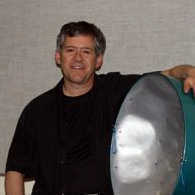 He was the timpanist/clinician with the professional concert band, Windiana, on their China Tour in the summer of 2006. He has music published with RGM and his group “Latin Vibe” gigs in the tri-state area. Jim’s website: couleeregionmusic.weebly.com describes his other musical offerings including the 10 piece CR Steel Band, the CR High School Jazz All-Stars and the CR Drum Ensemble. Jim was guest artist at the 2014 Percussionfest, taught at a music camp in Haiti July 2014 and was inducted into the Austin, MN Music Hall of Fame in May 2014. Kyle started studying guitar at the age of 9 in Wichita, Kansas. After a few months of lessons his family moved to Knoxville, Tennessee where he studied for 10 years under a session musician from Nashville. He went to college at University of Wisconsin - La Crosse where he studied Classical Guitar performance and Music Composition. Joe studied classical piano at the University of Wisconsin La Crosse under Dallas Weekly. He started expanding his style of play by playing in many different bands over the years. These styles include Dixie, Blues, Jazz, Rock-n-Roll, Country, R&B and Gospel, incorporating his fundamental and classical training into all of his performances. 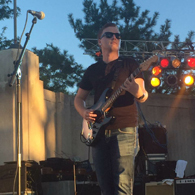 Having played in many different bands over the years, Joe has gained experience in performing in many types of venues from small coffee shops all the way up to large concert halls, including the Hard Rock Casino. He also has had the opportunity to work with and perform with countless experienced musicians. The key to productive piano performance is a sound fundamental approach to the basics of piano technique. This concept is important to all styles of music. Regardless of the style of music you prefer, the same fundamentals apply. Technique, theory, ear training, all apply to all styles of music. Joe brings to the table a very sound fundamental program with the ability to guide the student through any style of music and nurture the desire for that style. In his years of playing a variety of music and as a member of many bands, he will be able to translate these different experiences into the student's desire to perform any style of music. Joe is new to the La Crosse area and is looking forward to teaching and engaging musicians in the local music scene. Contact the store to get in touch with Joe! Ryan started playing trombone in Sparta in the 6th grade and has continued playing over the last 16 years. He received his Bachelor of Arts in Music with a concentration in trombone along with a Jazz Studies Certificate from the University of Wisconsin-Whitewater in 2013. After graduation, Ryan spent that summer in Vermont with an internship for Yellow Barn. During his time in Rockford, Illinois he performed with a number of local groups including the Rockford BACH Chamber Choir, the Rockford Operetta Party, the Rockford Christian Fellowship Band, the Kishwaukee Valley Concert Band, and he played trombone at the Mendelssohn Performing Arts Center. He also assisted with the music program at St. James ELCA in Chicago by playing trombone for mass, ringing with the Bell Choir, and singing in the Liturgical Choir. Currently, he is employed at SSE Music as a salesperson and is playing with a number of area groups. 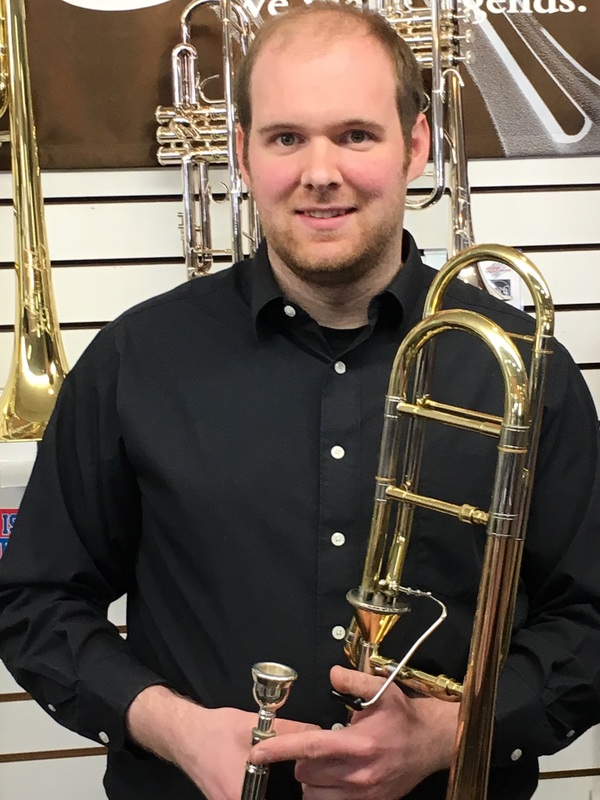 He plays euphonium with the Tomah Community Band and Black River Falls Community Band, plays trombone in the La Crosse Concert Band, and performs on trombone and euphonium in various area musical pit orchestras. Kaye Lehrman received her B.A. in Music from Luther College and her M.A. in Vocal Performance and Pedagogy from the University of Iowa. She taught classroom music for eight years and has taught piano for twenty years. Kaye moved to La Crosse from Dubuque, Iowa, where she had forty private students at the Northeast Iowa School of Music. She has also played viola with the Dubuque Symphony Orchestra and piano for community theatres. Kaye has accompanied for both Onalaska and La Crosse School Districts as well as the La Crosse Community Theatre. She is Primary Organist at Shepherd of The Hills Lutheran Church in Onalaska, and plays clarinet in the La Crosse Concert Band. If you would like to contact Kaye about lessons, you may email her at: kaye.marie@hotmail.com. 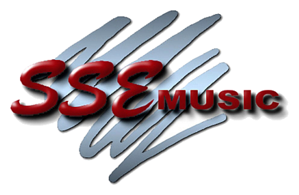 Page Summary: SSE Music offers guitar lessons, piano lessons, keyboard lessons, drum lessons, voice lessons, violin lessons, bass lessons, in our La Crosse location. We also accept students from the following surrounding communities such as Onalaska, Sparta, Tomah, Holmen, West Salem, Viroqua, Mondovi, Arcadia, Westby and Osseo.